If you are interested in joining an in-demand emerging profession in the thriving healthcare industry, then you should consider becoming a health information manager. 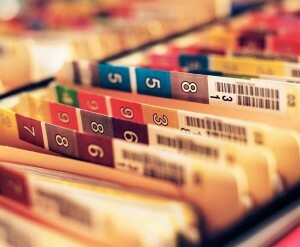 With a combination of expertise in business and computer science, health information managers are responsible for collecting, integrating, analyzing, disseminating, and managing patient healthcare data in secure information systems. Since the recent nationwide shift to electronic health records (EHR), the demand for health information managers is growing faster than ever before and there are not enough qualified applicants to fill open positions. In fact, employment of health information managers is expected to grow rapidly by 21 percent before 2022, making it one of the fastest-growing health occupations. In order to determine if this growing career is the right match for you, the following is an in-depth job description for health information managers. Every time healthcare professionals treat a patient, they are responsible for recording information concerning their medical history, symptoms, diagnoses, test results, and treatment plans. Then, health information managers are tasked with organizing and managing all of this confidential health information to ensure its quality, accessibility, accuracy, and security in both paper and electronic systems. As leaders in the health information management field, these managers are mostly focused on administrative and managerial responsibilities related to information resources. On a typical day, health information managers can be found designing automated or manual health information systems, developing health information policies, building a departmental budget, hiring or supervising health information workers, providing in-staff education, assisting in research, and serving on organizational committees. While it is estimated that about 60 percent of health information managers are employed in hospitals, it is important to be aware that job opportunities can exist across the entire healthcare delivery system. Many health information managers also find abundant openings in managed care organizations, nursing homes, physician offices, clinics, mental health centers, federal agencies, prison health systems, state health departments, universities, research companies, and health consulting firms. Some may also be employed in medical software corporations to develop databases, perform various software evaluations, and assist clients with installing health information systems. Most health information managers are employed full-time on a normal 40-hour work week with some overtime required, but there may also be options for home-based work and night-shift schedules too. In order to receive administrative roles in health information management, it is typically required that candidates have earned at least a four-year bachelor’s degree in a related program of study accredited by the Commission on Accreditation for Health Informatics and Information Management Education (CAHIIM). It is recommended that you take courses in biomedical sciences, medical coding, clinical data analytics, database management, computer technology, health information systems, quality improvement, and statistics before graduation. After graduating, many health information managers choose to pursue added credentials as a Registered Health Information Technician (RHIT) or Registered Health Information Administrator (RHIA) with a national certification exam through the AHIMA, or even pursue a Master’s in Health Informatics degree. Overall, health information managers are organized and detail-oriented professionals with good communication skills who are tasked with leading employees in orchestrating the documentation of essential medical information into comprehensive electronic health databases. If you choose to become a health information manager, you will be on the pathway to a bright future in an in-demand profession in ensuring all critical data is maintained correctly to improve patient outcomes.